This is a relaxing trip package to help you enjoy a full day in Mathura. The religious city is waiting to welcome you with open arms. Allow us to make the experience special for you. The service has been designed to suit a number of local tour purposes including sightseeing, attending meetings, shopping, seminars, visiting hospitals, and a lot more. The half day hire service is offered to you for enjoying a trip to Mathura within half day. We make sure things don’t get hectic. Some of the most popular services under this category include Airport Transfer in Mathura, Car rental service for Marriage, party and event, Corporate Cab Rental in Mathura, Railway Transfer, visiting hospitals and a lot more. If you have been looking for outstation travel packages, we have an exclusive offer for you. The service will guarantee you exceptionally amazing trip experience with friends, best of excursions, enjoyable weekend getaways, and family leisure trip outside the city limits. To and fro taxi facility is dedicated for your special Mathura visit requirements. It is available for various destinations from Mathura. 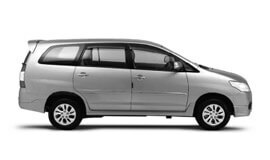 Our one way drop hire service will help you enjoy premium quality taxi service to your desired destinations starting from Mathura. Visiting more than one city in a given period of time? Allow us to arrange the tour for you. We design special multi city tours for a fixed period time. Customized packages are what we specialize in. We design taxi and tour packages as per your specific tour needs and budget. Several other crucial aspects are also taken into account prior to actually customizing the package. No two packages are same. We design one that suits YOU and your Unique needs. We guarantee the best car rental services in Mathura at highly affordable prices. Mathura Weather is extreme and tropical. Summer in the city season enjoys a steady rise in temperature. Usually, it exceeds 44° C. The humidity as described by citizens is unbearable. The nights are relatively cooler. May is considered to be the hottest month of the year. Winters get really chilly and known to be the best time to visit the city. As per official census report for the year 2011, Mathura has a population of 441,894 residents. Mathura Industries is one of the chief contributors in the Uttar Pradesh economy. Other major sources of revenue in the city include tourism, textile printing industry, fabric dyeing and silver ornaments manufacturing. Mathura is a big centre for cotton materials production, and production of milk based sweet meals. The town of Mathura is considered as a holy town. The place is celebrated as the birthplace of Lord Krishna. The town boasts of a huge number of serene theerthams (ghats). The Gita Mandir is a must visit tourist place in Mathura. The holy shrine has the entire text of Gita has inscribed on its precincts. Some of the other tourist attractions of Mathura include Jama Masjid, Sri Krishna Janmabhoomi Temple Complex, Vishram Ghat, Dwarkadheesh Temple, and a lot more.